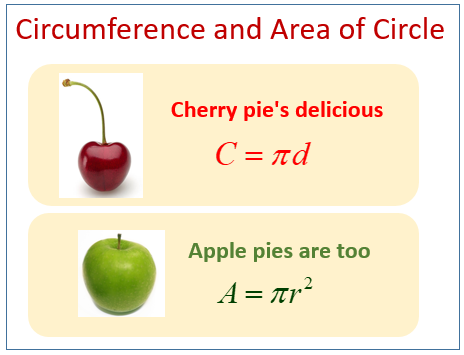 The following figures give some mnemonics to help you remember the formulas for the circumference and area of a circle. Scroll down the page for more examples and helps. Learn circumference, radius, pi and more through music!